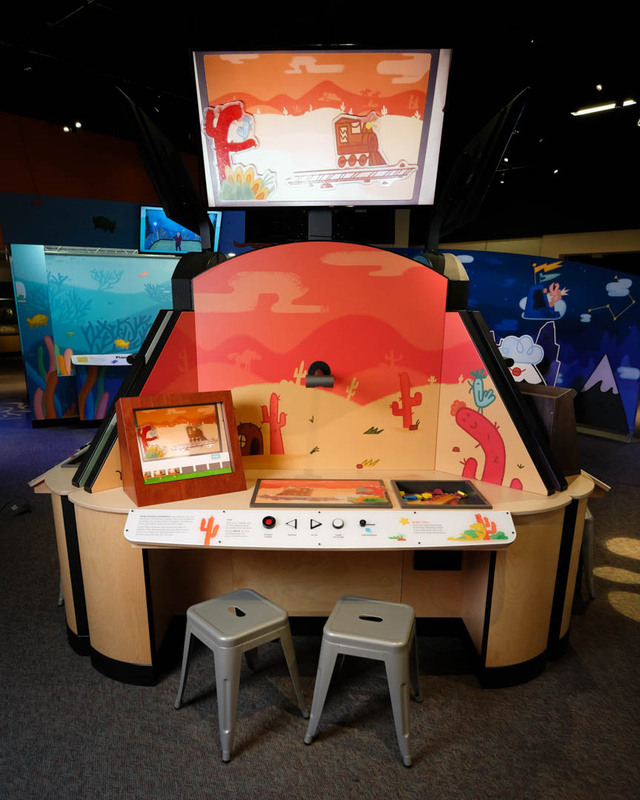 Animationland visitors learn how to incorporate animation skills into the creation process through hands-on interactives and discover an exciting, dynamic way to tell their own stories. 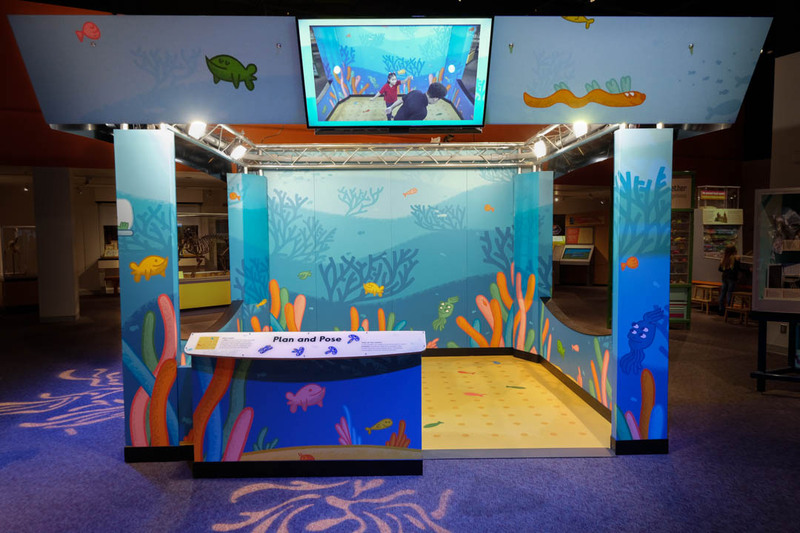 2,000 - 2,500 sq. 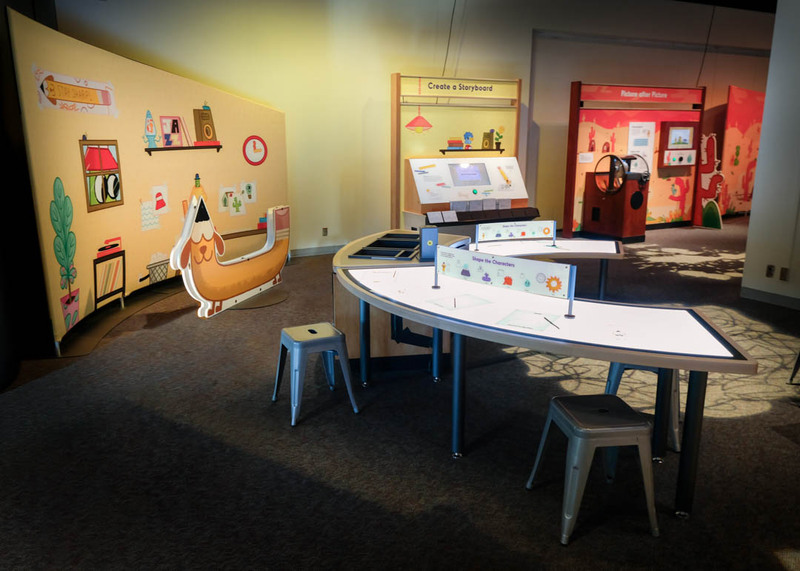 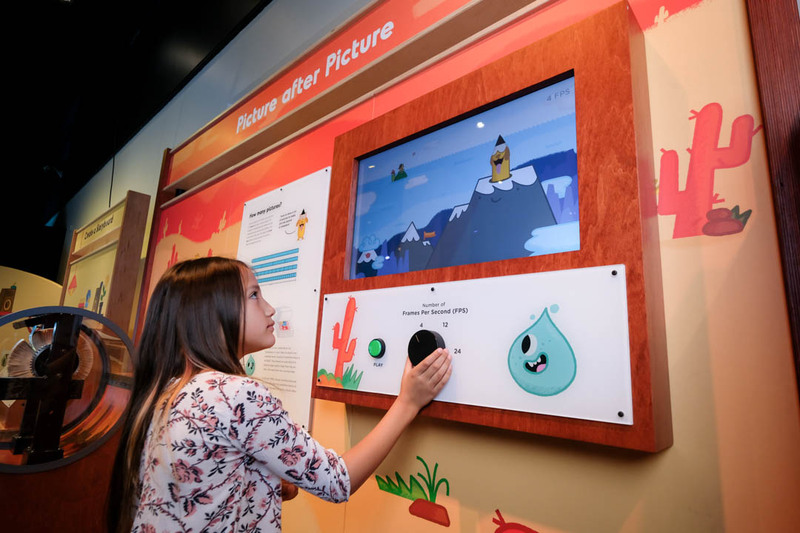 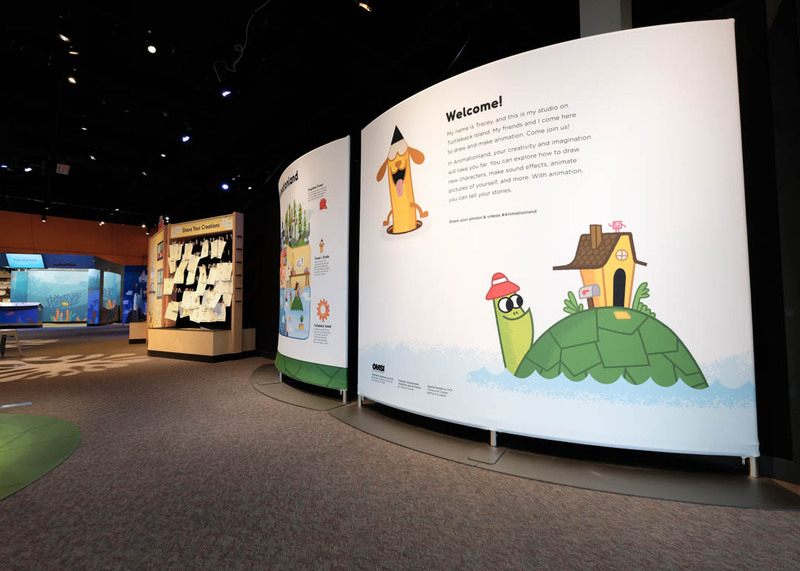 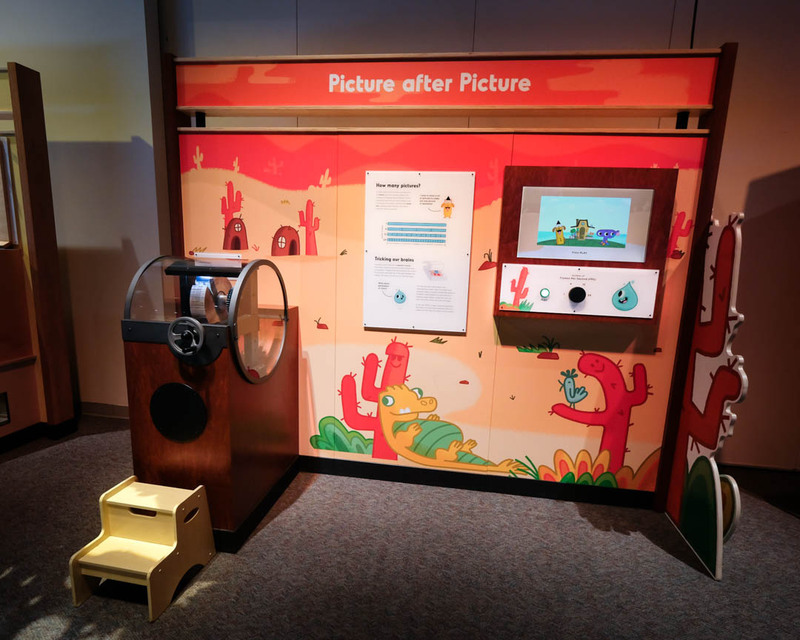 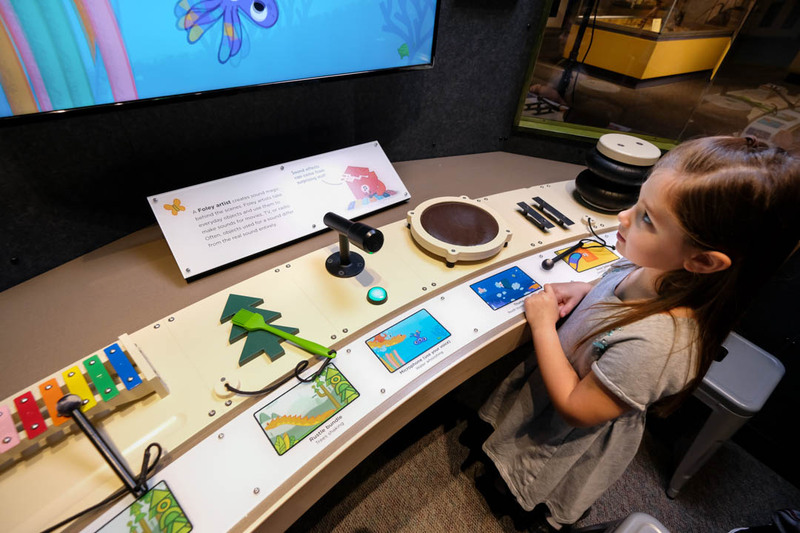 ft.
Tracey the pencil dog and her crew—Rooth, Drop, Inky, Uno, and Kari—guide visitors through the basics of turning a story into an animation. 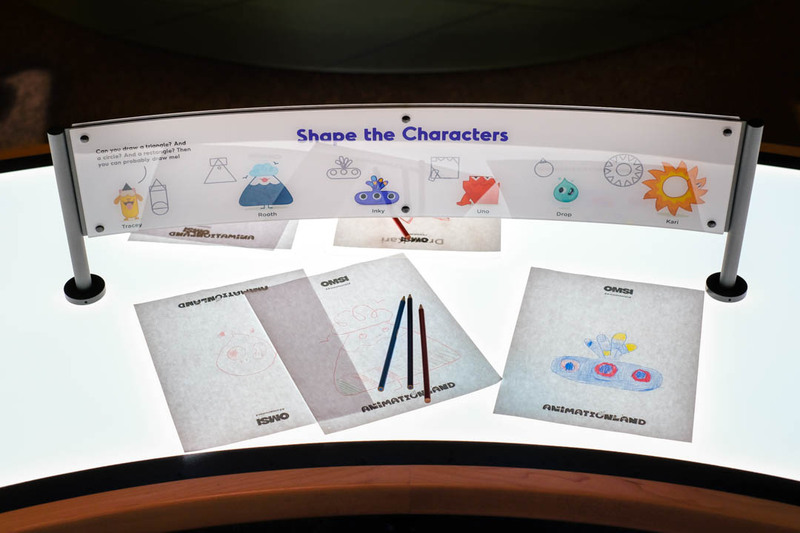 I can create animation to tell my stories. 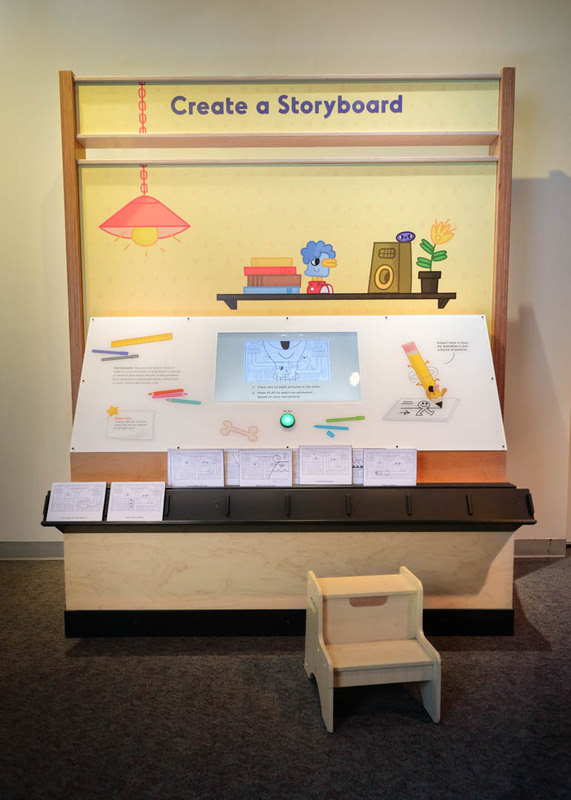 A bright, irresistable entryway welcomes visitors into an animation studio with work tables, sketches, and inspiration everywhere! 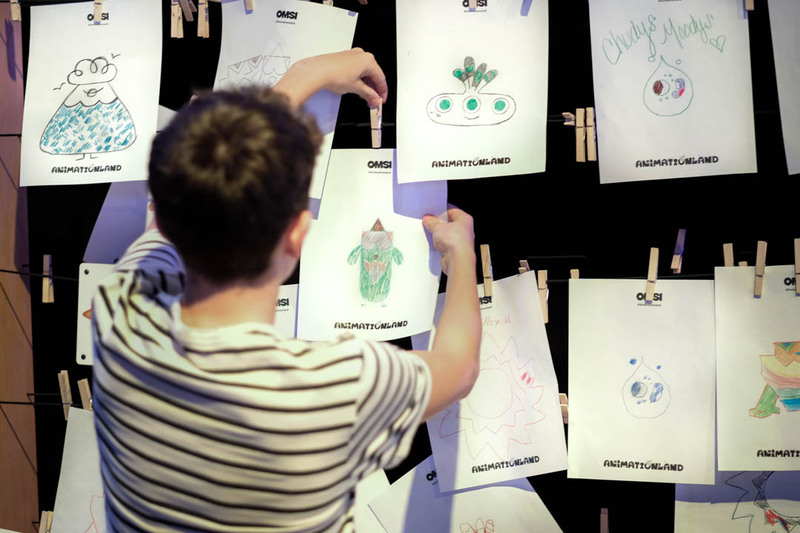 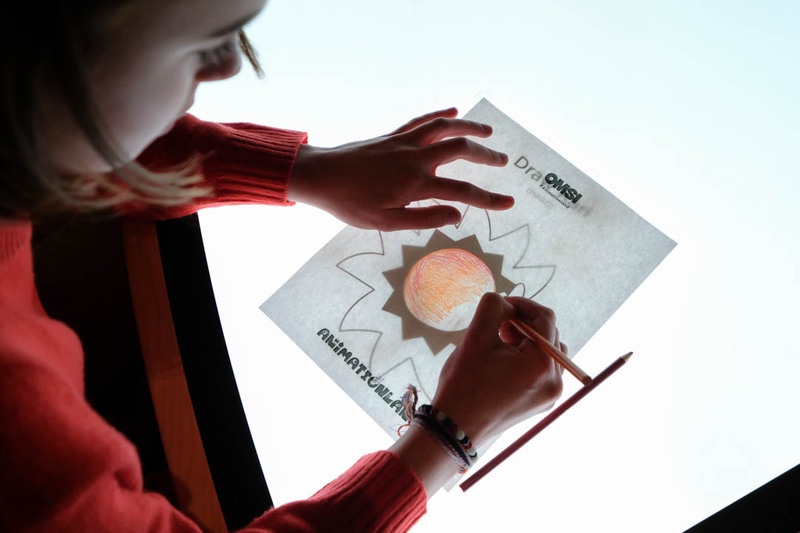 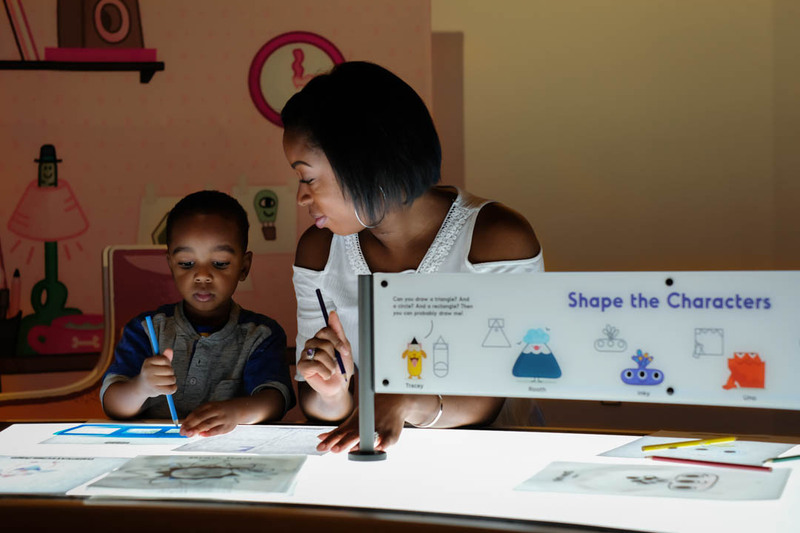 Visitors are invited to experiment at light tables by tracing and sketching Animationland characters and creating anything they can dream up. 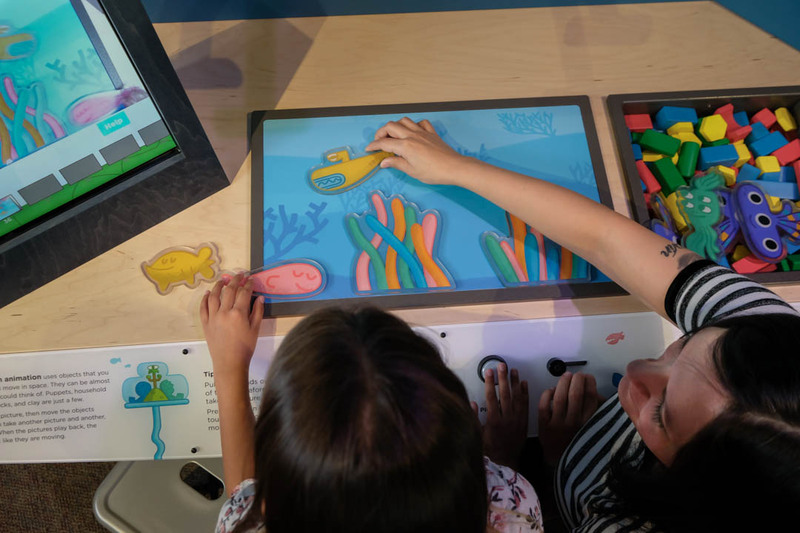 They’ll become oriented to the world of storytelling through animation while learning about how animation works, the basics of the animation process, and getting to know our playful, easy-to-draw Animationland mascots. 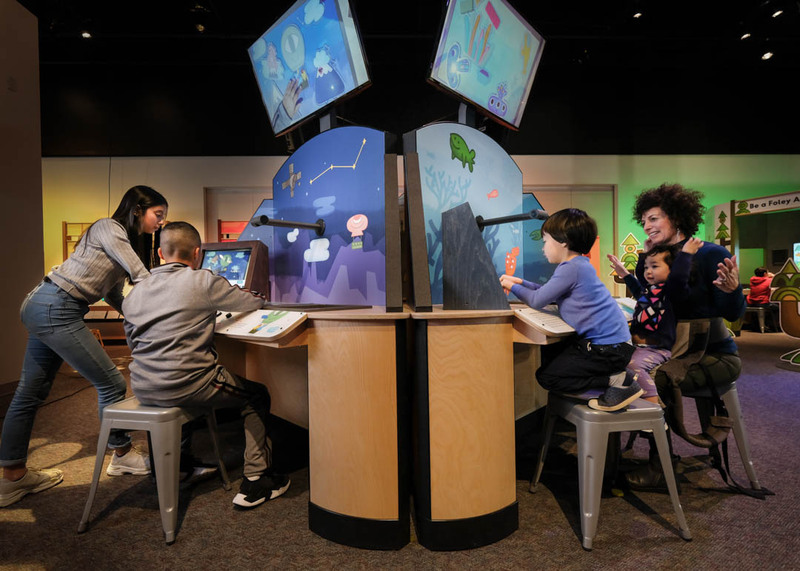 After spending time in the studio and gaining foundational knowledge about how animation works, visitors venture out into a fantastical land – a lot like our natural world, but more magical! 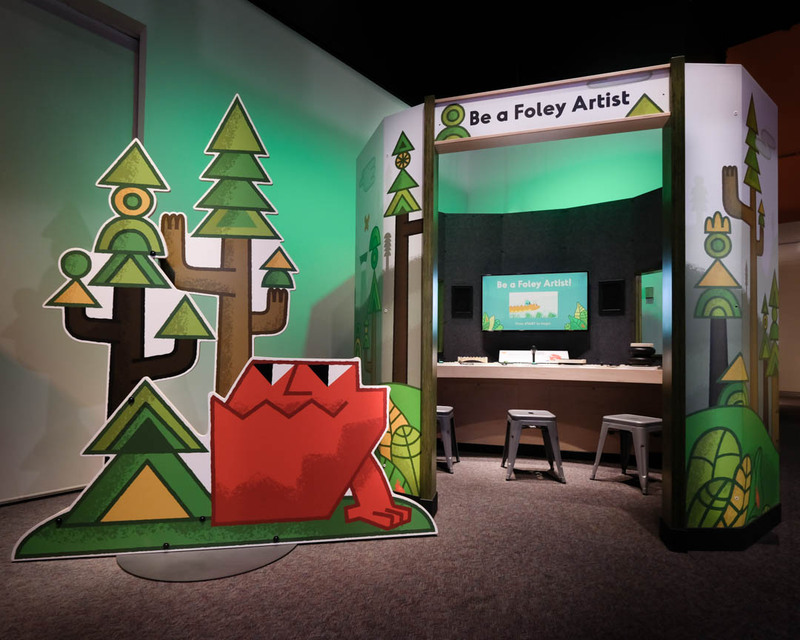 – where the funny, endearing characters they drew in the studio come to life through exhibit graphics and original animated shorts. 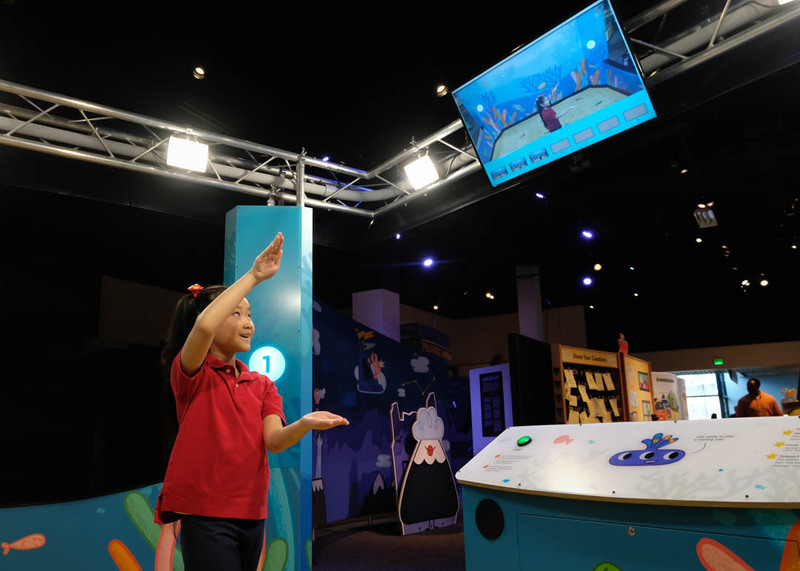 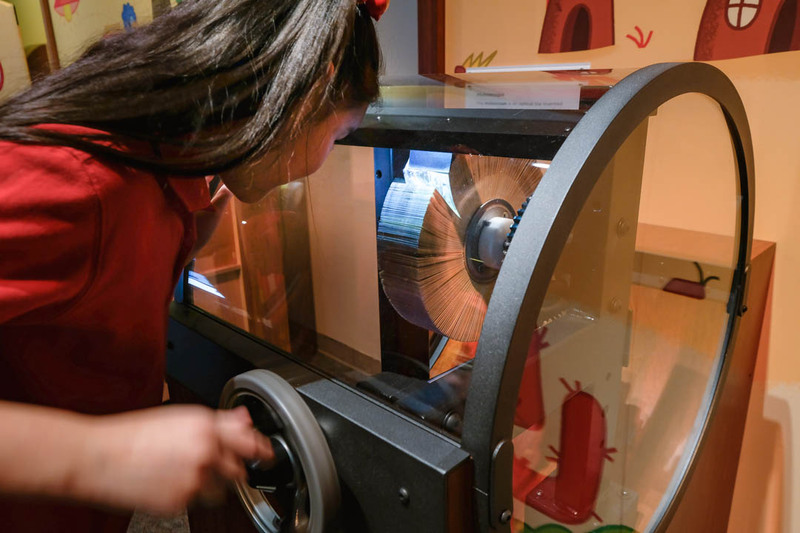 From electronic interfaces through a full-body opportunity to plan and star in a stop-motion production, Animationland includes a wide range of interactive experiences. 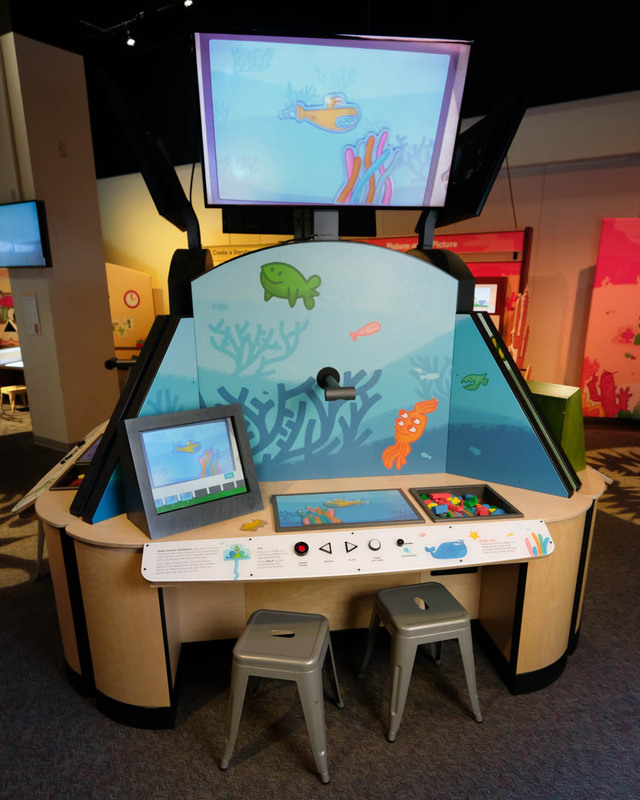 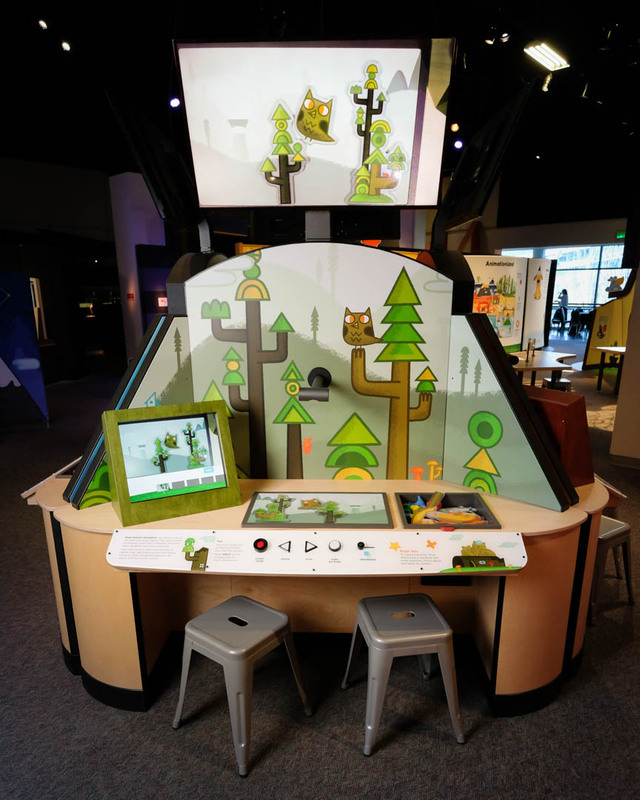 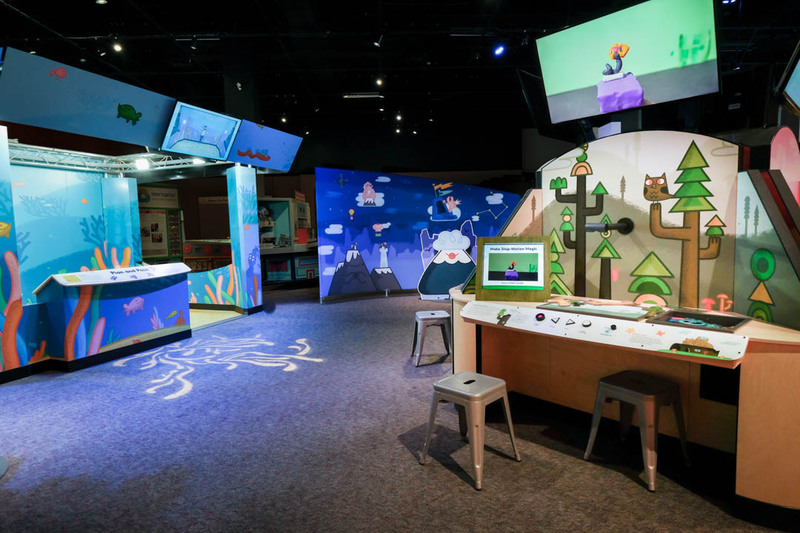 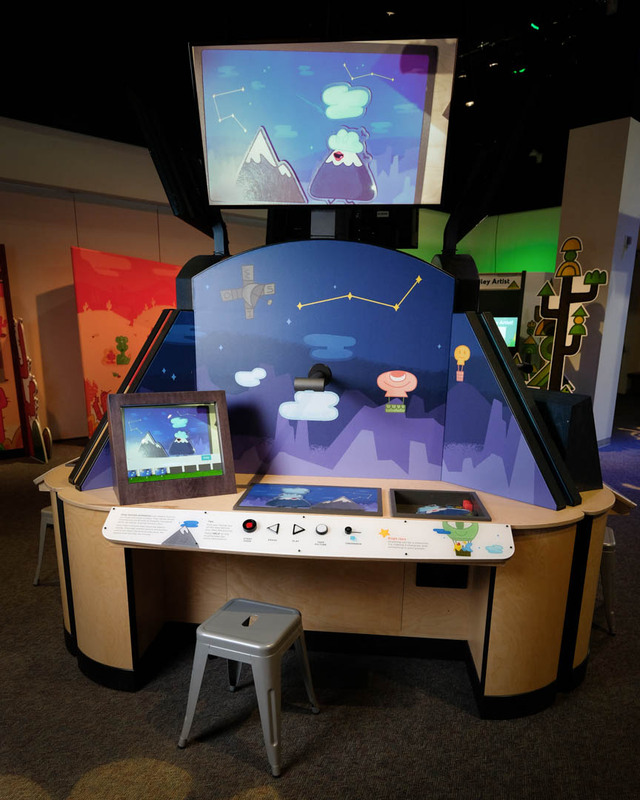 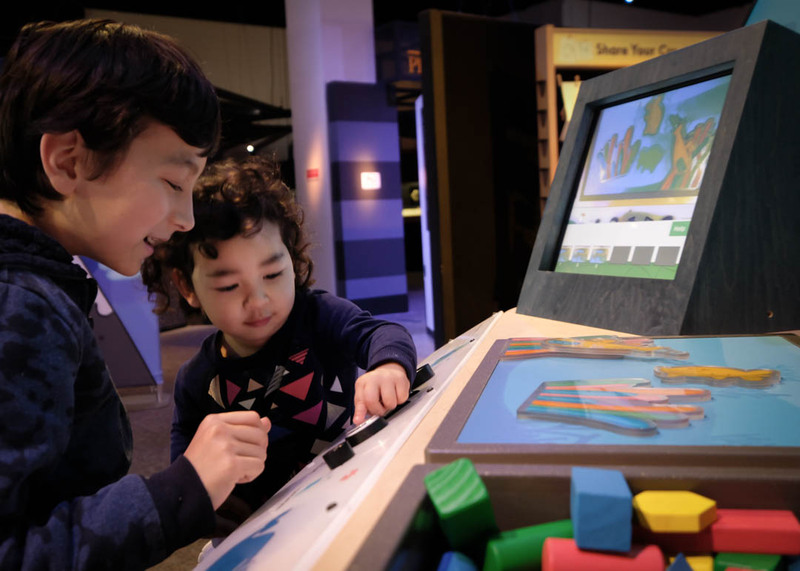 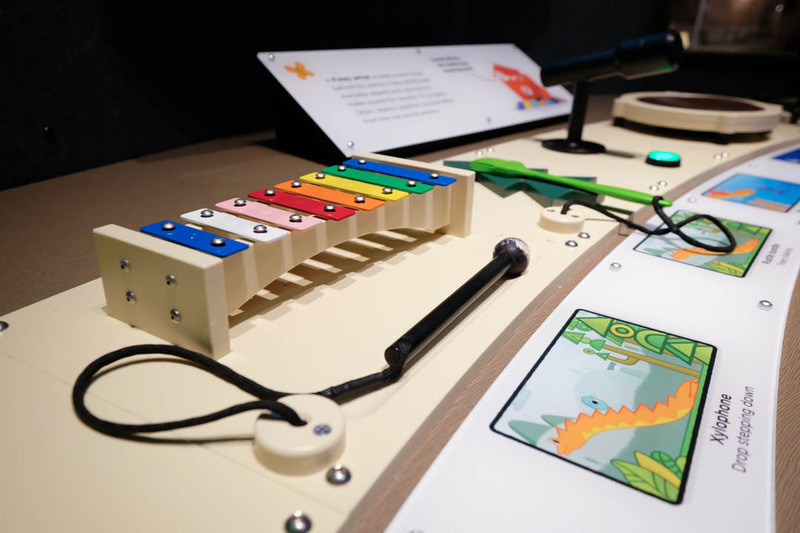 Environmental elements provide an immersive setting to inspire all visitors to learn the art and science of animation. 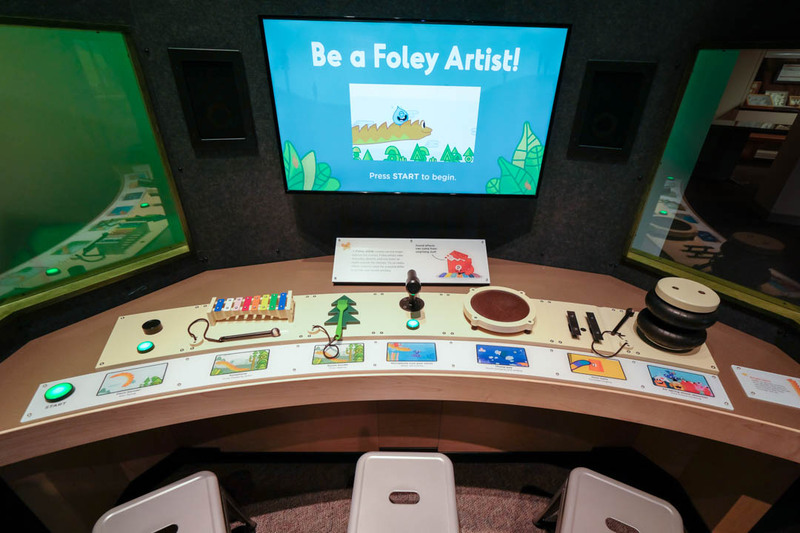 Animation concepts and character development created in partnership with Jolby & Friends. 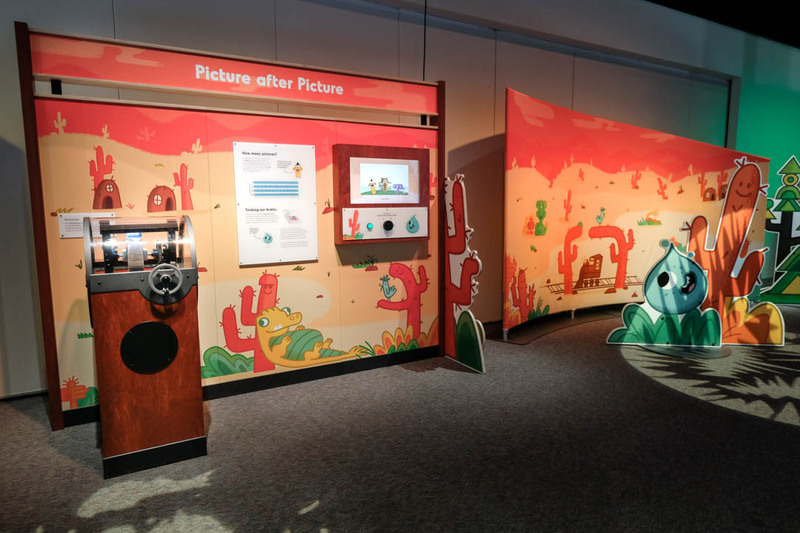 A collection of PDFs and guides for museum staff and teachers to expand on the educational content of Animationland, including in-classroom experiments and activities for your museum floor. 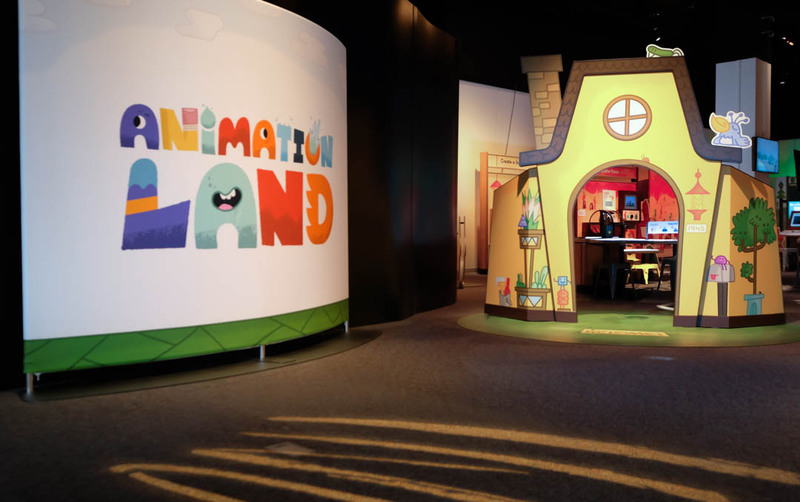 A printable fact sheet about Animationland to share with your team. 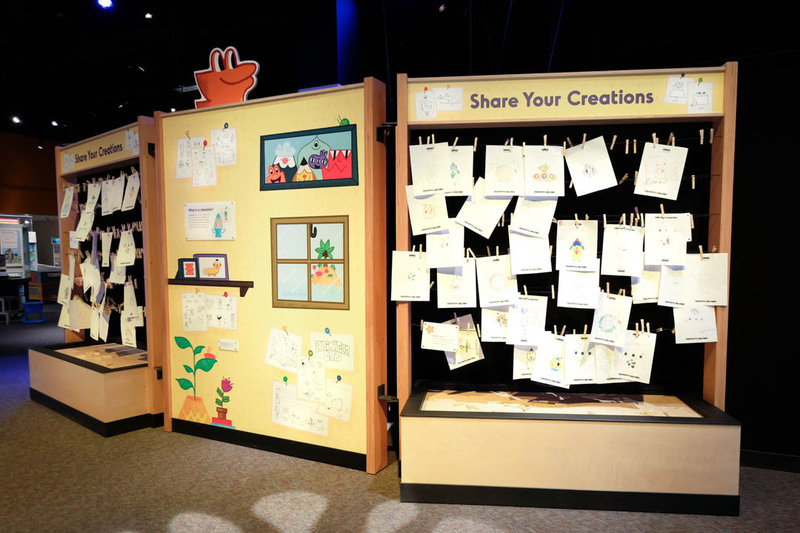 This sample floor plan gives you an idea of how Animationland will look in your gallery space. 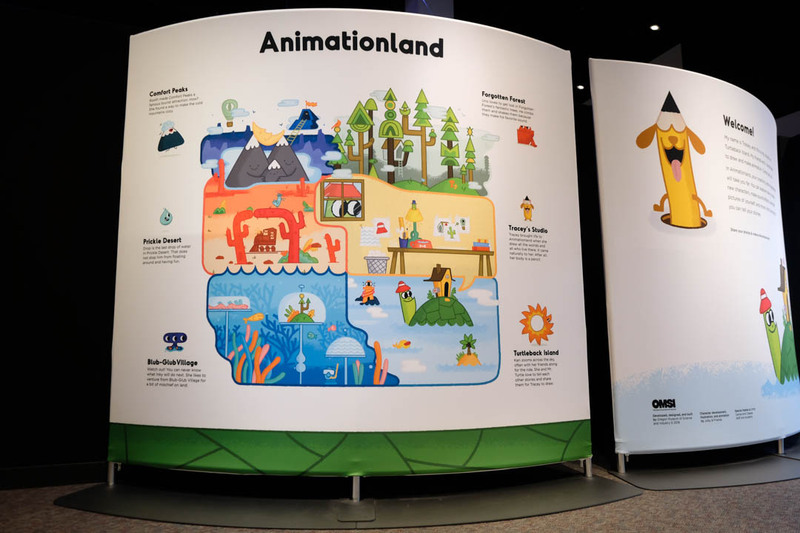 All the logos, images, and assets you need to properly market Animationland, promote sponsors, and get guests excited about their visit! 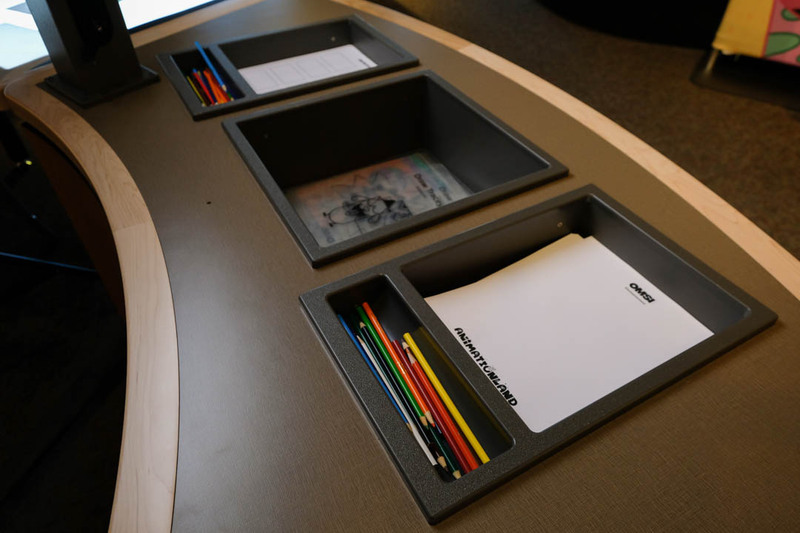 Available soon. 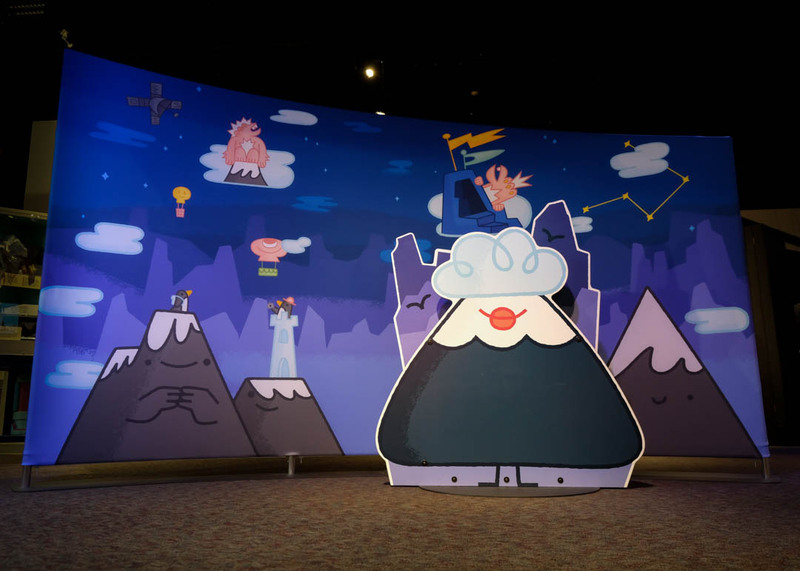 Learn how animators draw new friends by using simple shapes!